The school is very indicatively trying to instill in young Delfites a global understanding and through it the concept of global citizenship. Global understanding at our school is about creating a love for other human beings and all things living, taking Delfites beyond the narrow confines of caste, religion, country and colour. It is about instilling in them the fundamental recognition that we are part of one global ethos. The concept of Vasudev Katumbkam- the world as one large family. July 2018 : Finland is considered the top country in terms of its Education Quality and outcomes. All our ministers and educationists undertake pilgrimages to Finland to study its Educational system.In Session 2018-19, Reetta Elena Tenhunen, A Class XI student of Merikosken Lukio School, Finland is currently attending a Year Long YES Stay and Study Program at DLFPS under the FS Intercultural Learning Program (connecting Lives Sharing Cultures). June 2018 : Delfites Kartik Kumar, Anvay Sharma, Aman Chopra and Kushagra Mittal were among 20 winners of Raggabund German Video Making competition, organised by Goethe Institute, Max Mueller Bhawan, New Delhi. This foursome were rewarded with a paid, week-long trip to Sri Lanka to attend the Regional German Language Youth Camp, 2018 held at the Centauria Lake Resort in Embilipitiya, Sri Lanka where over 100 students from the sub-continent had assembled. These students underwent a ‘Stop-Motion’ workshop conducted by Raphael Di Canio, a teacher from Germany, where various photography tricks, DSLR camera functions and techniques of Light Painting were taught. 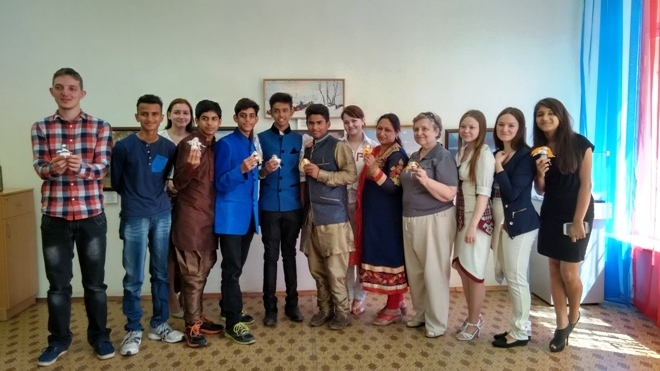 May 2018 : Continuing the 8th Round of Indo-Russian Wheel of Friendship under the AFS Intercultural Exchange Program, a delegation of 10 students along with teacher mentors Ms. Duhita Parmar and Ms. Susmita Das went on an educational trip to Russia in May 2018.Over a period of two weeks, students were able to completely immerse themselves in experiences of Russian education, culture and society. Teachers and students attended classes of Primary, Math, Russian Language, History and others at School No. 31, Municipal Educational Institute, Cheboksary. Best practices with respect to teaching methodologies in India were also shared by the DLF Public School representatives. Apr 2018 : The school hosted a group of 12 students from DPS, Srinagar in the first ever domestic exchange program from Apr 3 to Apr 11, 2018. The focus of the program aimed at connecting lives and developing intercultural bonding among students to foster and promote peace education. The program was in true sense the meeting of hearts and minds.The experience exposed students of J & K to various activities, ranging from attending the school assembly and classroom sessions to having healthy discussions on Indian mythology and religion, while also participating in student social responsibility programs of the school. They were impressed by the way the school focusses on overall development of each child. Visiting students shared how this program has put various illusions and cultural distortions at rest. It was hard to believe that they watched a movie in a cinema hall for the first time in their life. They shared that it was unimaginable for them to be on the streets without fear at 12 in the night. While they exchanged notes on the best practises of both the schools, they took back home a learning that teaches to accept and adapt, each other while living and working together. In the Session 2017-18, Sanya Arora while studying in Grade XI completed a tri-semester program at Joseph Leckie Academy, Walsall, West Midlands, UK from a diverse multicultural school. Sanya came back, took her final exams and scored an aggregate of 83%. Dec 2017 : DLF Public School hosted a delegation of International participants from Taiwan, on Dec 14, 2017, which included Ms. Ying-Chun-Chen, Sub-division Chief, Division of Strategic Planning, Department of Education, Taipei City Government and Ms. Lisa Luo, Senior Education Manager who came over as a part of the ISA Study Visit Program, in partnership with British Council Taiwan. The delegation observed primarily, how the school has embedded International dimension in its curriculum and activities. Nov 2017 : DLF Public School hosted a group of 10 Russian students and Principal Irina Sarapulova along with a teacher of ,b>Secondary School Number 14, Cheboksary, Russia. The Russian students enjoyed being a part of the effervescent DLF culture while engaging in gamut of activities and trips that made their stay memorable. Visiting students enthusiastically took part in cooking sessions, Indian dance, Mehndi art, sculpture classes, candle making, yoga, painting and craft sessions. They were enchanted by reciting the Sanskrit verses, which mark the essence of Indian culture. The Russian students also visited the President House, the Lotus temple and Akshardham. Their visit to Agra and Jaipur gave them a glimpse of the cultural heritage of India. Oct 2017 : A group of 12 Delfites and teacher mentor Ms. Swagata Ganguly went on a Reciprocal Student Exchange Programme to Italy. The programme gave them an opportunity to have glimpse of one of the oldest cultures of Europe and interact with students of Leon Alberti School Abano Padova. Meeting with city Mayor Federico Barbierato was the highlight of the trip. Delfites learn German the Native Way! Oct 2017 : The school hosted a teacher intern from Germany Ms. Alexa Hagedorn in October under the Global Exchange Program sponsored by the Goethe Institute, Maxmuller Bhavan. 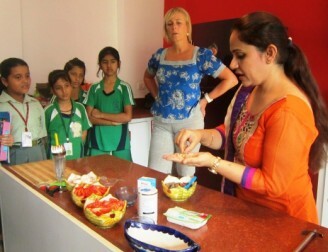 The programme helped her to have hands-on-experience of teaching German in an Indian school. While she was impressed by art and cultural skills taught in the school, students were also excited at the prospects of learning German the native way. In a heartwarming adieu, a cultural program hosted for Ms. Alexa, students shared some of the best moments of their association with their German facilitator. As a tribute to the school and students she directed a German song presentation. July 2017 : Delfites and Dance teacher Patrali Mukherjee along with Music teacher Neeraj Sharma got an opportunity to showcase Indian Culture through the language of Music and Dance at XXIII Voru International Folklore Festival ,Estonia 2017 in July organized by International Council of Organization of Folklore Festival and Folk Arts. Breath-taking performances of Delfites kept the spectators glued to their seats. Hritali Mukherjee, Grade XI demonstrated Kathak dance for the audience. 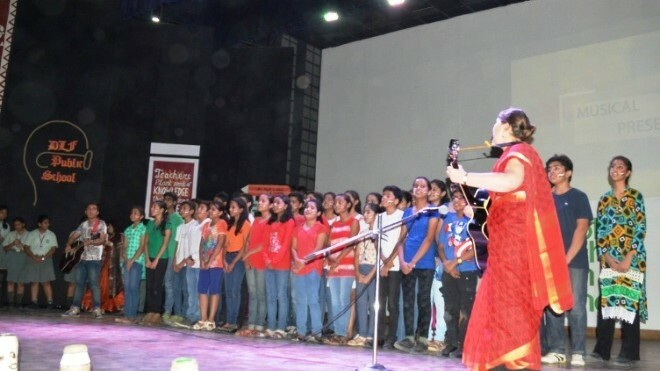 Navya Sharma, Gauri Sharma, Divyanshi Pant were amongst the other participants from the school. Performance of Delfites was very much appreciated and applauded. July 2017 : t is our endeavour to prepare our students to become Global Citizens. The school provides International exposure and adequate platform to its students by organising International Exchange Programs. Continuing the trend, 8 Italian Students and 1 Japanese Student are being hosted by their Indian families from July 17, 2017 onward as guests in their homes. The Italian and Japanese students are going to attend a Short Term English Language Program where they would be learning English besides learning Yoga, Indian dance, craft and sculpture. The aim of the program is to improve the spoken and written proficiency of our Italian and Japanese buddies in English Language. Such programs makes one realize that we are all same with different names and identities and Each one of us speaks one common language and that is the language of LOVE! Apr 2017 : A group of 13 students and 2 teachers from School 41, Cheboksary visited DLF Public School during a two-week exchange program during which bot the schools committed themselves to engage in comparative study on ‘Mitigating Climate Change using Non-Conventional Sources of Energy’. Italian student Areana Sqarcina became the part of DLF family for the academic year 2016-17 and competed her Grade XI. The summit aimed to showcase India’s prowess across the world and act as a catalyst for forging ties in the fields of business, knowledge and culture, and featured panel sessions, company showcase, industry tours, university visits, and several networking opportunities. Nov 2016 : The Xi Ban Band from Shanghai, China performed at DLF Public School, Sahibabad, Delhi-NCR, India on November 24, 2016 in collaboration with the Delhi International Art Festival, celebrating their 10th edition. The DIAF attracted performers from over 30 countries and over 2000 plus artistes of all genres from all over India. The band took an audience of around 1000 children at the school to a brand new art form – the Beijing Opera, a form of Chinese Opera combining music, vocal performance, mime and dance. Oct 2016 : As a reciprocal, a delegation of 10 students along with 3 teacher mentors went for a learning trip to Russia where they were well received by the City Mayor and the Education Minister at the City Council, Klin district, Moscow. During the 18-day visit the Delfites gave a cultural performance and a presentation at different schools around Cheboksary and Klin which was covered by the local Russian News Channel. Delfites Dazzle the World at the International Folkdance Festival Ismailia, Egypt! July 2016 : A group of 11 Italian students attended a month long English Language program as the school became the center for imparting World Class English Language Program to foreign delegates. This was truly a cultural immersion program in every sense as the group experienced the culture of India through an extensive schedule during their month long stay in India. Dr. Mrignaini, the Executive Director of DLF Public School and Life Member, WCCI (World Council for Curriculum and Instructions) was invited to present a paper at the 17th World Conference on Education in Hungary. She presented her paper titled ‘Educating for Democratic Governance and Global Citizenship. Apr 2016 : Principal Seema Jerath participated at the Spectrum of Education 5, held at Istanbul, Turkey. The event saw 49 educators from 23 countries and was a major exercise in Inter Cultural Learning titled ‘Schools in the Future, the Future of Schools’ organized by the Turk Kultur Vakfi and the AFS, Turkey. 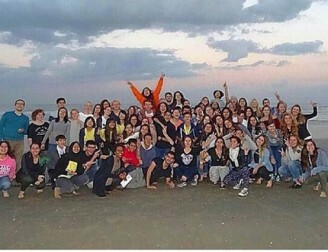 The entire event was hosted by the Isik Okullari School, Istanbul.The Spectrum of Education 5 was an exchange by the AFS that infused not only Inter Cultural Learning (ICL) but also updated the participants on Global Trends in education vis-a-vis numerous perspectives from different countries. The curiosity and interest in India amongst the audience gave a direction to Principal Seema Jerath’s talk about Education System in India and the Global Trends therein. Apr 2016 : DLF Public School hosted a group of 11 students and Principal Eliana along with a teacher from Russia during a 15 days exchange programme from March 23 – April 15, 2016. Through this yet another international exchange programme, students were engaged in experiential learning about the culture and education system of India. 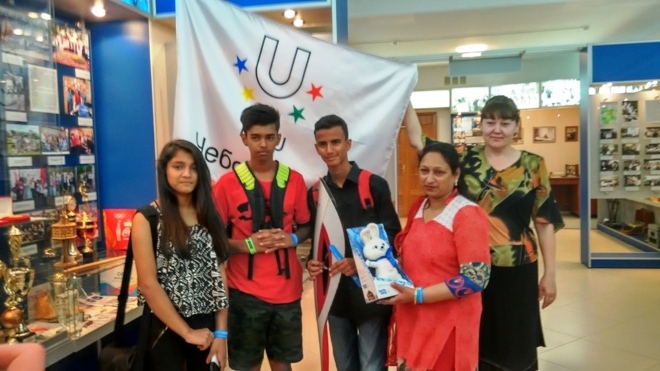 May 2015 : Delfites of Grade IX-X along with teacher mentors Ms. Gunjan Gupta visited Russia and were warmly welcomed by their Russian host families during the Student Exchange Program of 15 days. 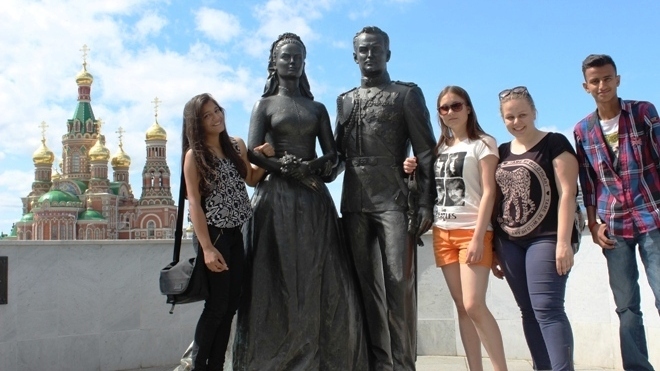 During the visit they engaged in experiential learning about the culture and educational system in Russia. 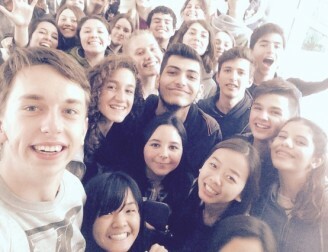 2015 : Under the flagship of AFS India in Indo-Italian Collaborative Exchange, School hosted an Italian student Pietro Fiocco who completed his Grade XI at DLF Public School.Delfite Gul Mehra, Class XI completed her Grade XI in Italy under this year long study exchange programme. 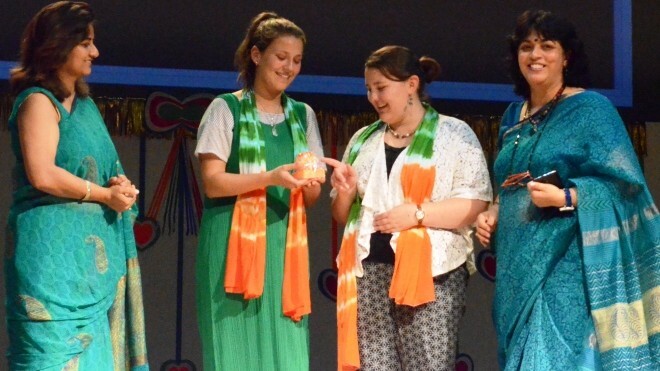 Sep 2015 : Ms. Flossy McAslan and Ms. Zoe Green, UK worked with our school as English Language teachers under the British Council Generation UK-India program from July -September, 2015. These teachers actually brought in a transformation in the school’s English classrooms. Their presence and engagement was accepted in high spirit by school students who got an opportunity to better their English language skills, especially their accent and pronunciation by learning and interacting first hand with these English teachers for a period of two months. Jan 2016 : The extremely talented dance group of DLF Public School represented India (Delhi) amongst 24 teams from 18 countries at the 11thSurin International Folklore Festival & Symposium (SIFFS), Thailand. The festival was celebrated from January 15, 2016 to January 21, 2016 and was hosted by the Surindra Rajabhat University, Thailand. It saw participation from countries like India, Austria, China, Nepal, Russia, Turkey and more. Students got an opportunity to meet the governor of Thailand, Mr. Atthaporn Singhavichai during the grand opening ceremony.Delfites were offered this rarest of rare opportunity in recognition of the school students’ winning streak for the past three years consecutively at the Global Female Folk Dance Competition. Aug 2015 : Our German Teacher MS. Heena Mehta was selected by Max Mueller from India to attend the Unterrichtshospitation und Meethodik – Didaktik DAF Ai – B2 at Baden – Wurttemberg. Germany. 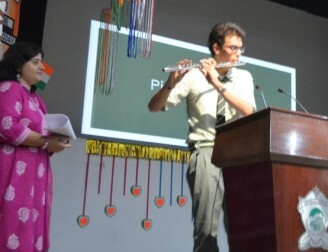 Sep 2015 : Continuing its 5 year long international partnership, 2 teachers from Mearns Primary School, Scotland; Head Teacher Ms. Catherine Dillon, and Mr. John Rodgers visited DLF Public School under a week long British Council Connecting Classrooms Project to experience the teaching-learning pedagogy of the school by being part of the activities happening around its classrooms and kindergarten, morning assemblies, clubs and sports. These teachers interacted with Delfites on Cardboard Challenge, the exchange project mutually undertaken by both partner schools where students of grade 6 in both schools learnt to re-use cardboards and transform them into innovative games, artefacts and products.Oct 2015: The partnership continued with Ms Duhita Parmar, Science teacher and Ms Anjali Mittal, English teacher from our School visiting Mearns Primary School, Scotland in October 2015 to continue the exchange projects in the coming session. Dec 2014 : 27 School Heads comprising Directors and Principals from Schools in Asia-Pacific region, Taiwan, Vietnam, Saudi Arabia, Dubai and representative of British Council took a tour of DLF Public School as part of their study tour to India to understand the impact of the British Council programmes in building globalization in the school. Principal Seema Jerath presented an overview of the various international programmes and activities across all age group and curriculum areas and how these programmes have been integrated within the existing school framework. 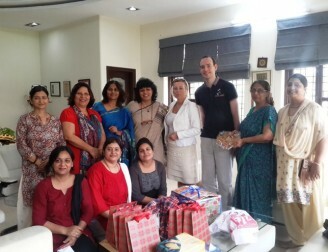 Dec 2014 : A group of 10 Russian buddies along with Ms. Tatyana Perova, Head of Russian Language Teacher Training Centre and English Teacher, Gymansium 46 School, Russia, Ms. Riddhima Chabhra, Representative, AFS India, Ms. Olga Omitrieva, Teacher from Liceym 2 School, Russia visited DLF Public School during the First Reciprocal Exchange Program under the flagship of AFS India. Aug 2014 : Ms. Tarkeshwari Mishra, Faculty of Hindi Department, DLF Public School, attended the 6 day long ‘ Peace, Security and Human Development’ World Summit, Korea representing India amongst the National Heads and representatives of more than 70 nations from August 09-14, 2014. The Summit was organized by universal Peace Federation in Seoul, Korea on ‘The Relevance of Religion for Peace and Development’. 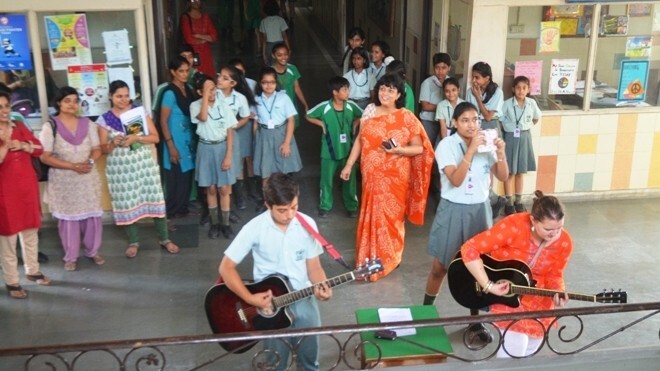 Aug 2014 : Dr. Mrignaini, the Executive Director of DLF Public School and Life Member, WCCI (World Council for Curriculum and Instructions) was invited to present a paper at the 16th World Conference on Education on ‘Integrating Education for a Lasting Culture of Peace and Care of Planet Earth’ from Aug 17-24, 2014 at San Diego, California, USA. The conference helped educators across the world collaborate and reflect on the global concern to save planet Earth. Taking leads from the Grade 7 Electricity conservation Project with Scotland last year in her school, she presented a Paper on ‘An Innovative Approach towards Global Environmental Sustainability’! A Change can only come, when we ‘Global Citizens’ stands together as one’May 2014 : Vishvesh Sheoran, Aditi Goenka, Abhyudaya Tandon, Raunaq Singh and Gul Mehra along with teacher mentor Ms. Swagata Ganguly visited Russian school in Cheboksary during their 15 days trip. They became part of all classroom activities and exchanged educational pattern and approach of their country with each other. May 2014 : Ms. Gayle Santi and Mr. Paul Santi from Calderwood Lodge School, Glasgow, Scotland presented the ‘Energy Conservation Policies’ created by their students. The students of both the school recorded the electricity consumption in their homes for one month and created the policies to save electricity. They also engaged in Easter and Holi Activities under the International Project “Colourful Festivals of India and UK”. June 2014: Post their visit, Ms. Aswathi K.N, Science teacher, visited Calderwood Lodge School, Glasgow, Scotland, Eaglesham Primary School and Mearns Primary School during which she shared the implementation and outcomes of the project. Dec 2013 : Executive Director Dr. Mrignaini and Chairman Dr. Rakesh Khullar attended the 15th WCCI (World Council for Curriculum and Instructions) World Conference at Kaohsiung, Taiwan. Dr. Mrignaini shared her Research paper on ‘Raising emotional and spiritual quotient through yoga and meditation’. Feb 2013 : Two delegates from the Old Dalby Coe Primary School, UK; Ms. Hayley and Ms. Rosie Martin shared visit to the School in February, 2013. The exchange was part of the UKEIRI Staff Exchange Programme. Dec 2013 : A group of Delfites along with a teacher went for a wonderful and memorable Educational Trip to Dubai and Abu Dhabi, UAE. May 2012 : Our enterprising Chairman conferred with Doctor of Literature Honoris by Medicina Alternativa, affiliated with The International Open University at Kula Lumpur, Malaysia. 26 delegates from Japan, Toyota Company, paid a visit to DLPS, Sahibabad on May 17, 2012 with the distinct objective of exploring the factors behind the agile mental ability of Indian students, specifically juniors, in solving the problem questions of ‘Multiplication and Division. 2011 : Delfites learnt first hand about a multitude of issues ranging from marine life, gulf topography, mining of gems, exchanging currencies, experiencing the Thai way of life to…authoring a book—’Land of Smiles’ to capture their memories in photograph packed group. 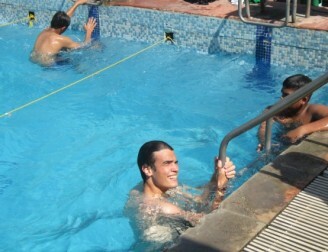 The trip was organized in association with Edterra Adventure. June 2011 : Principal, Seema Jerath visited Eaglesham Primary School, one of the six partner schools in Scotland, under the connecting Classrooms Project by British Council. Feb 2011 : Mrs. Nouf M. Marwaai, President, Arab Yoga Foundation, Saudi Arabia visited the School on 9th February, 2011, and interacted extensively with both students and the teaching fraternity. Feb 2011 : Prof. Kawasaki, University of Education, Hokkaido, Japan paid a visit to our School on February 22, 2011. 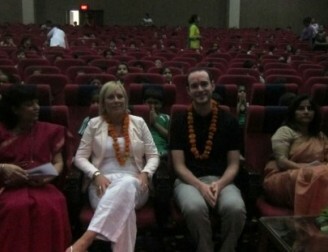 He interacted closely with Delfites, and made it a point to visit several classes.Another distinguished educationist: Ms. Mary Anne Howland, Director Ministry Of Education (Nsw), Government Of Australia came to explore the possibility of proposed Exchange Programme to be initiated with Australian Schools. Iran And India Celebrate Diwali Together, The Dlps Way – Nov’2010 as 34 delegates from Iran’s International Yoga Foundation, comprising teachers, doctors and Yoga experts, got a delightful taste of Indian culture on their visit to DLPS in November, 2010. A Life – Skills Exchange Programme With Iran – Dec’2009 was conducted on December 24- 31, 2009. Ms. Semiramis Dehnadi Moghadam, a representative of the Iran Yoga Association visited the School and had an extensive interaction with the students and staff and offered them an insight into the life and culture in Iran. Another group from there is planning to visit later this coming year. Yoga Coach, Ms. Rakhi Sarkar, was invited by the Government of Iran to provide Yoga training to a group of National yoga Coaches. She paid an official visit to Iran in 2009. July 2009 : A ‘Skill Exchange Programme’ With South Korea 2009 was accomplished successfully. A delegation of sports personnel from SABA (Sports for All Busan Association) visited our School on 3rd July, ’09. There was an active exchange of skills and knowledge with the teachers and students.